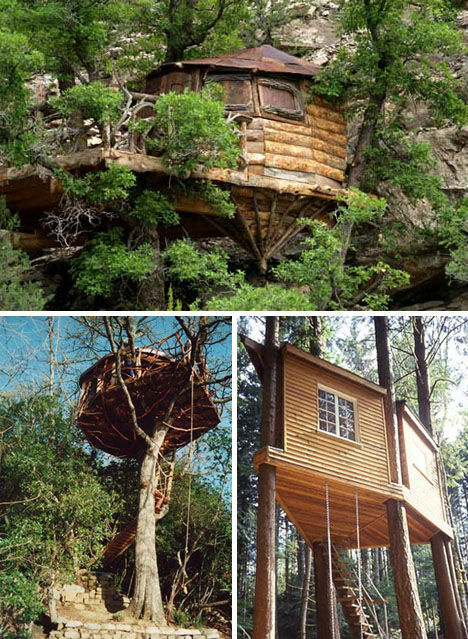 Woven huts made of living saplings, artistic hotel rooms resembling bird nests and cabins dangling from 300-year-old spruces are among the stunning organic structures built from, in, and onto entire trees. 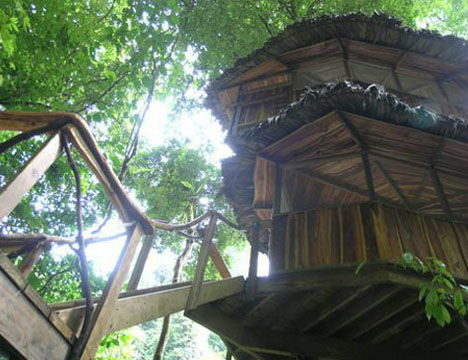 Tree houses like these 20 incredible structures indulge our childlike impulses to climb and view the world from a bird’s point of view, and blur the lines between nature and human habitation. 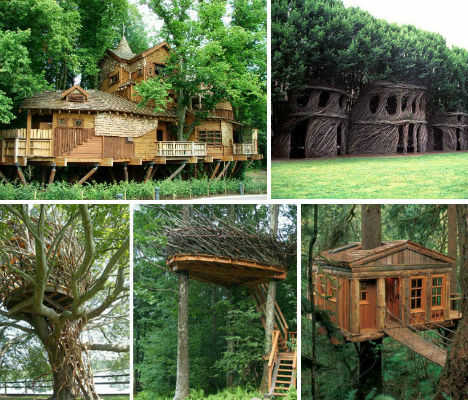 Romero Studios creates incredible organic tree-lofted structures including huts, homes, porches and platforms, some with a very rustic look and others more finished. 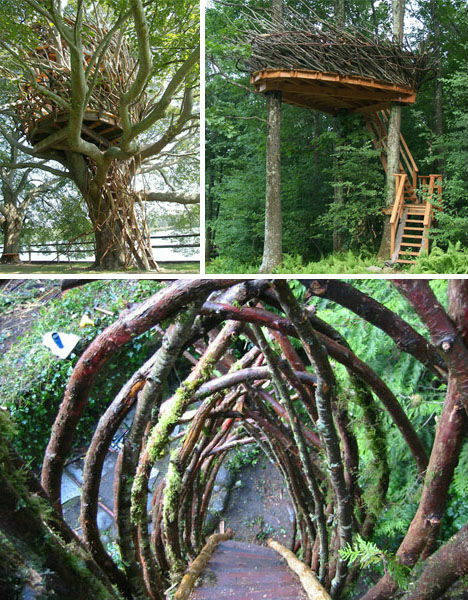 Natural branches are often used, some still covered in lichen, enabling these magical forest getaways to blend into their environments. 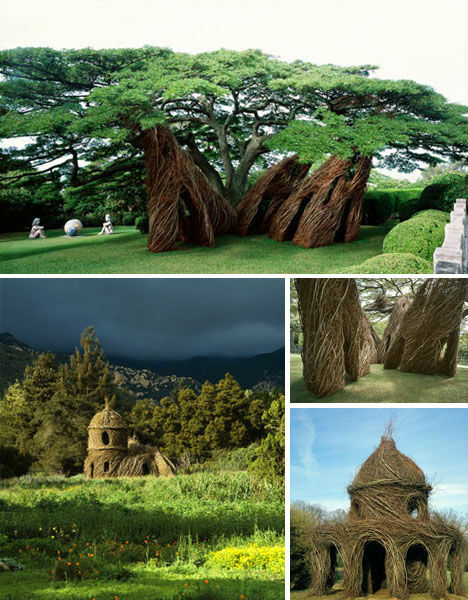 Patrick Dougherty gently shapes flexible saplings to form swirling structures that look as if they could have been painted with an artist’s brush. 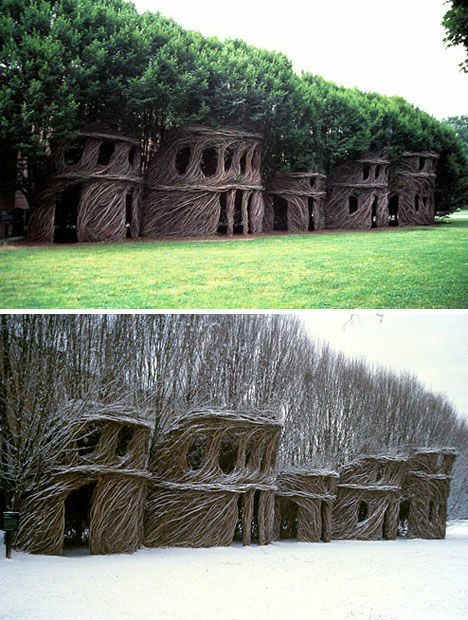 The saplings grow into each other as directed by Dougherty’s hand, making them stronger than they would have been had he simply woven thin branches together to form the huts. Some of Dougherty’s structures look like complex tree trunks, as if they might have been formed by nature, while others resemble cathedrals.